Patea PNG Quilt Collective: Wonderful publicity for us! 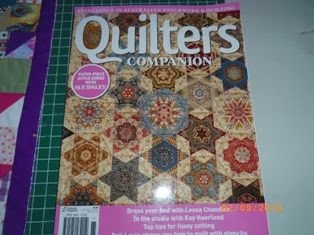 Quilters Companion magazine (an Australian publication) has a full page article about the PNG Quilt Collective in the current issue. which is No.65 - Vol.13 No.1. This is the cover, if you want to look for a copy in your newsagent. The article is on Page 107. I'd like to reproduce the article here, but I don't think the publishers would be too pleased!